Funded with a planned $2.5 million Indiegogo campaign, the film will star the Hercules actor as a former hockey player who devotes himself to charitable giving (as opposed to most retired hockeyists, who spend their days wandering the streets, chasing after that next big puck). Former Mighty Morphin Power Rangers director Isaac Florentine—whose IMDB page has hopefully avoided DeMartini’s notice, opening as it does with a note that he’s “Worshiped by his fans,” in what seems like both a clear case of idolatry and also a weird window into the lingering devotion of Power Rangers fandom—will helm the film, with Dan Martin and Ella Joyce also starring. 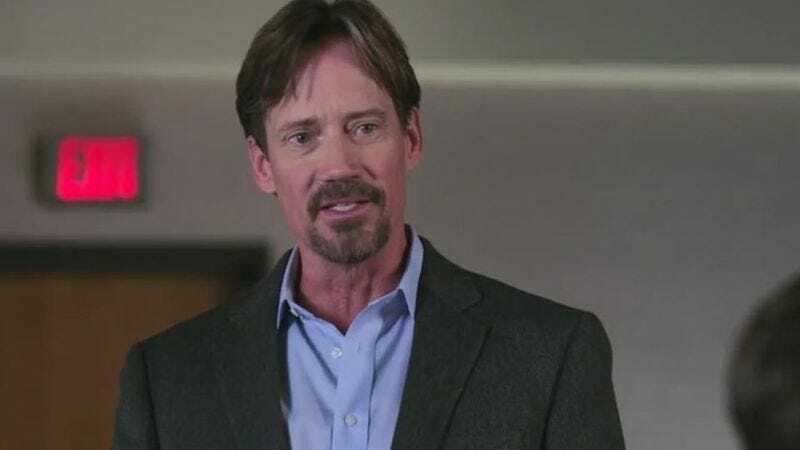 Sorbo went from strongman to strawman in last year’s faith-based God’s Not Dead, in which his deathbed conversion to Christianity served as the film’s big climax. (Our apologies to future God’s Not Dead fans who haven’t gotten around to seeing the film.) His participation in this new movie is presumably attendant on whether DeMartini can raise the $2.5 million, but given how much money War Room made this year, it’ll probably be funded well before Hanukkah, Kwanzaa, or the Feast Of The Unconquered Sun roll around this December.